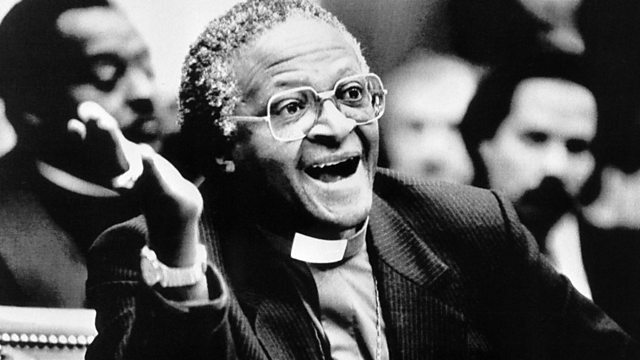 One of South Africa's most well-known human rights activists, and anti-apartheid campaigner, Bishop Desmond Tutu, was awarded the Nobel Peace Prize in October 1984. In October 1984, one of South Africa's most well-known human rights activists, Desmond Tutu, was awarded the Nobel Peace Prize for his opposition to apartheid. Two years later he became the first black head of the Anglican church in Southern Africa. Archbishop Tutu's friend and former deputy, Bishop Michael Nuttall, has been telling Louise Hidalgo about those milestones on the road to a new multi-racial South Africa, and about his friend's irrepressible spirit.